MeM#5 —19) Migration (Daphna Mero. Israel.) 13:31 min. 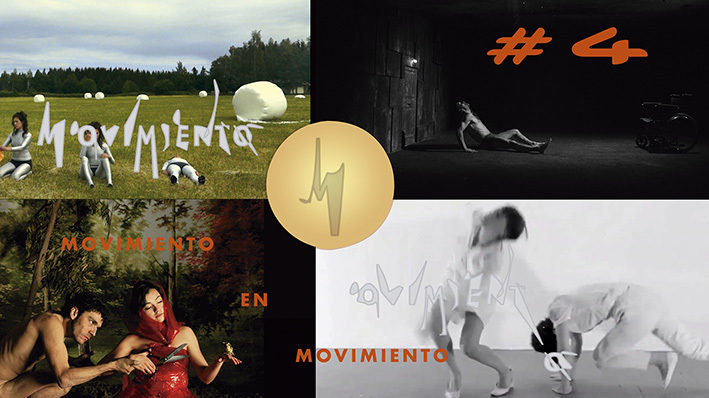 from Movimiento en Movimiento on Vimeo. Migration (Daphna Mero. Israel.) 13:31 min. A hybrid experimental piece that integrates dance and a choreography of space within the structure of a narrative film. “Migration” portrays immigration as a dehumanizing process executed by an indifferent bureaucratic machine. It follows a young immigrant woman, waiting her turn to see the bureaucrat in-charge of her case. The camera delves into the world of paper work and investigates —through movement and multiple points of view— alienated interpersonal relationships as they are molded by the structure of space and by the bureaucratic machine operating in. Space is deconstructed and reconstructed in an attempt to reach a reference point for the bureaucratic world and to connect the un-connectable —the gap between those who seek aid and those who are trying to give it. 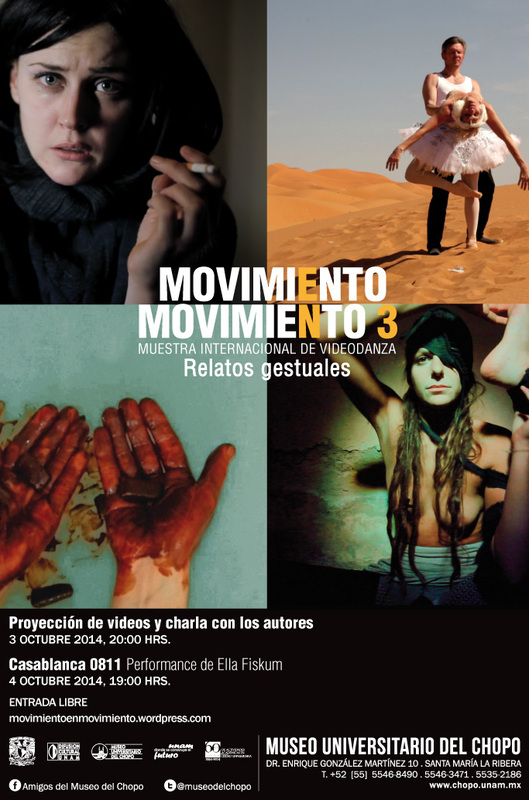 Epos, international art film festival, Tel Aviv Museum, Israel. ShortWaves Featival, Dances With Camera, poznań, Poland. Girona Film Festival, official Experimental Section, Girona City, Catalonia, Spain. Festival Miden, Kalamata city, Greece. ADF’s Movies By Movers, The Nasher Museum of Art, Durham, NC, USA Cinetekton. Daphna Mero is a film director, choreographer and a professional dancer who splits her time between New York and Jerusalem. She holds a B. Dance from the Jerusalem Academy of Music and Dance; a film diploma from Minshar for Art, Tel-Aviv; and MFA in Film/Video from MassArt, Boston. Her work draws inspiration from locations, spaces, and sites. They deal with the human experience via a novel medium, which incorporates visual art and dance. Her short experimental films have been screened in film festivals around the world, and she has won many awards and prizes for her work. Interview to Daphna Mero, talking about her creative experience. Filmed via long distance computer call: SKYPE. MeM#5 —19) Daphna Mero. Israel. Entrevista por su obra Migration. INTERVIEW. 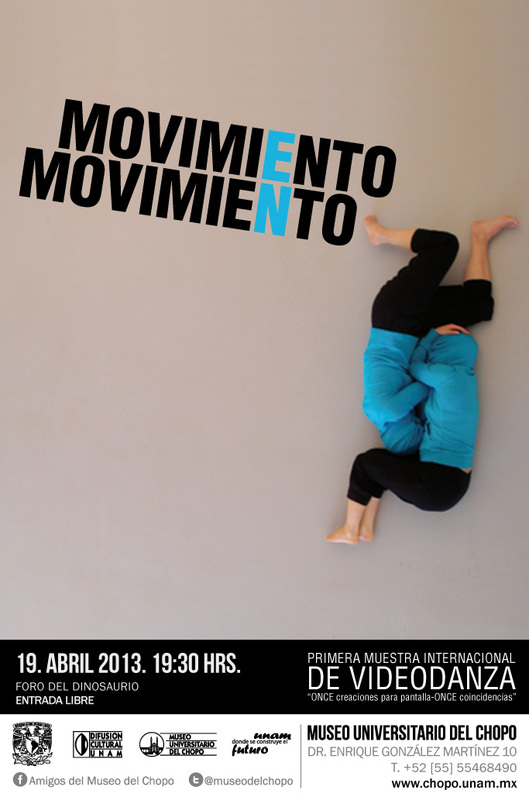 from Movimiento en Movimiento on Vimeo.